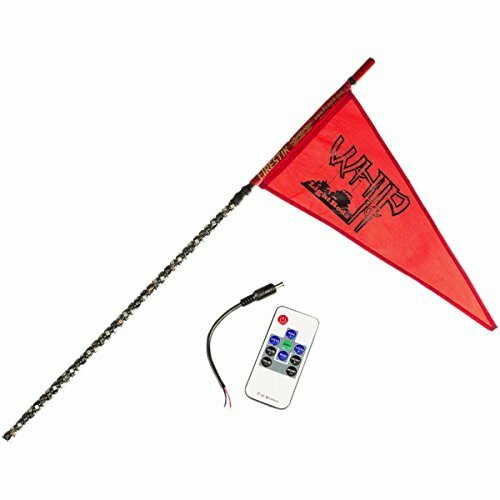 Universal DC 12V Base with 79 inches wire for Night Fire Whips (Only Fits Night Fire Whips) Base: Buffer device quick disconnect Contact us before you purchased from us. To make sure you purchase a right base for your whip. We will not responsible for purchasing errors because didn't confirm the compatibility before purchased. Instructions: 1.Look for a suitable hole, insert the light whip, then tighten the bottom of the screw. 2.Connect the positive(red) and negative(black) electrodes of power, then finish the install. Warm Tips: Put some dielectric grease on the connector can help you a lot. About Aftermarket: Please kindly contact us at once when you meet any problem. Providing pictures and videos will help us fix the problem sooner. 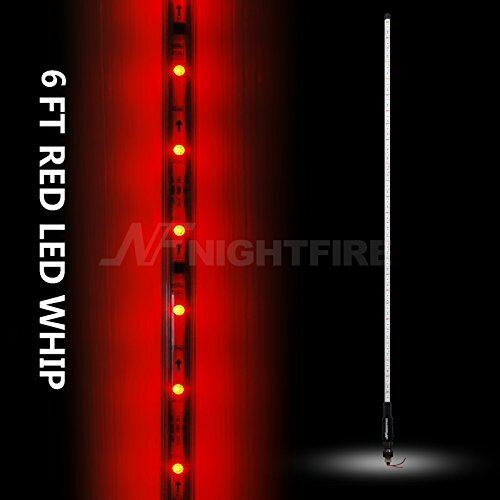 Size: 6FT/1.8M Color: Red Voltage : DC 12V Waterproof Rate: IP65 Light Sources: 5050 LED strip Tube Material: Reinforced polycarbonate Base: Buffer device quick disconnect Base Inside: Soft O-ring on upper base for buffering pressure Legal Disclaimer: Please be aware that we WON'T be responsible for the NOT USED CORRECTLY. If the item was broken during shipping, you must contact our Email with attached photos within 24 hours of receipt. Once we determine the break is due to shipping, not improper installation or rough riding (yes our experts can tell), we can issue your replacement or refund, and we will submit the evidence (the whip) to the postal insurance claims office as required. Instructions: 1.Look for a suitable hole, insert the light whip, then tighten the bottom of the screw. 2.Connect the positive(red) and negative(black) electrodes of power, then finish the install. 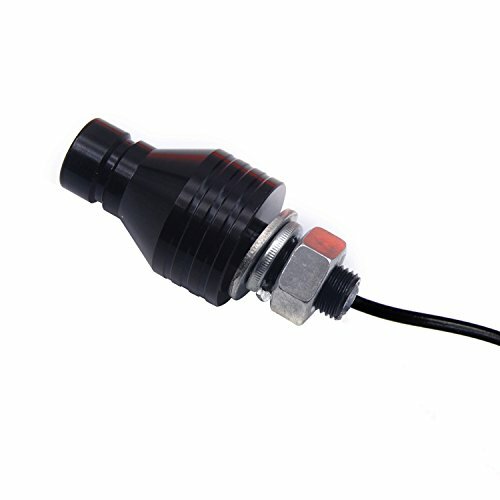 Warm Tips: Put some dielectric grease on the connector can help you a lot. About Aftermarket: Please kindly contact us at once when you meet any problem. Providing pictures and videos will help us fix the problem sooner. 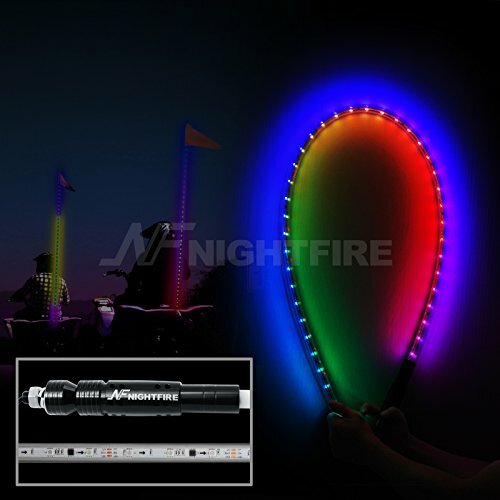 SUITECH's Multicolor LED Whip with Bluetooth Applications: Your imagination is the only limit. 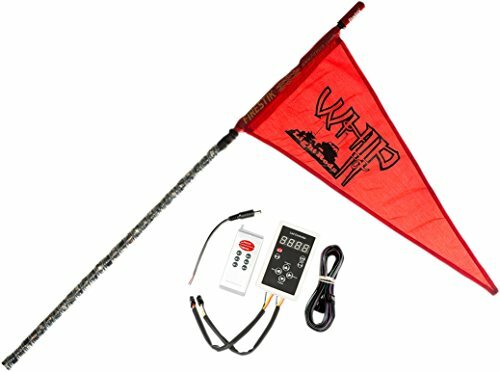 Usually LED Whips are used on any Off-Road vehicle to include the following: - Sand Rails and Buggies - ATV and UTV - Polaris 4x4 - Jeeps Specs: - Bluetooth Controlled using Android or iOS - Operating Voltage: 12 Volts - Tube Length: 5FT/1.5m - Tube Color: Milk White - Waterproof/Dustproof Rating: IP67 - LED Lifespan: 50000 hours. 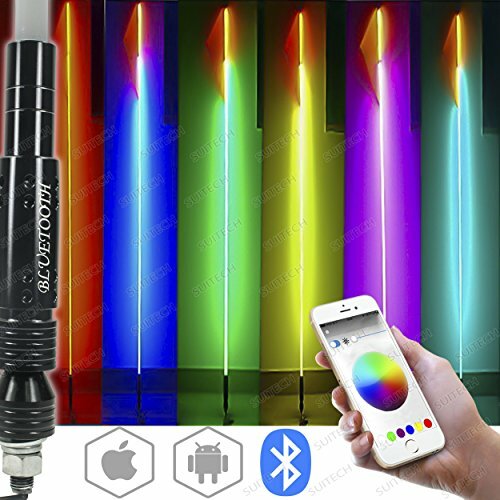 Included - One (1) 5Ft Multicolor LED Pole. - One (1) 10 Ft Wiring Harness. - One (1) FREE Orange Flag. Warranty - SUITECH guarantees the healthy life on any of their lights! If the light burns out, we will replace them for FREE! You can't go wrong with one (1) Year FREE replacement warranty. Add a set to your shopping cart today for a risk-free experience! Installing the Gorilla Whips LED Xtreme ATV Whip is quick and easy. This demo video reviews the simple step-by-step process. Visit www.GorillaWhips.com for more information. Check us out at www.OUTLAWwhips.com!! We are changing over to new a server for better product support! 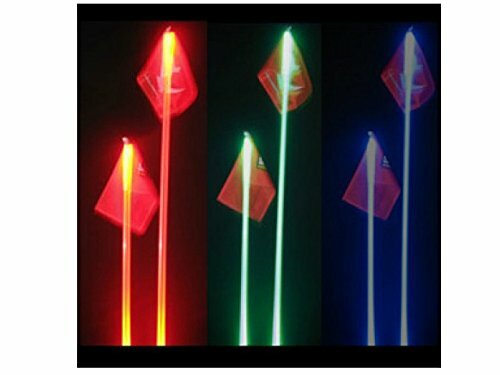 DIY - HOW TO MAKE LED WHIP ANTENNA FOR CHEAP!!! 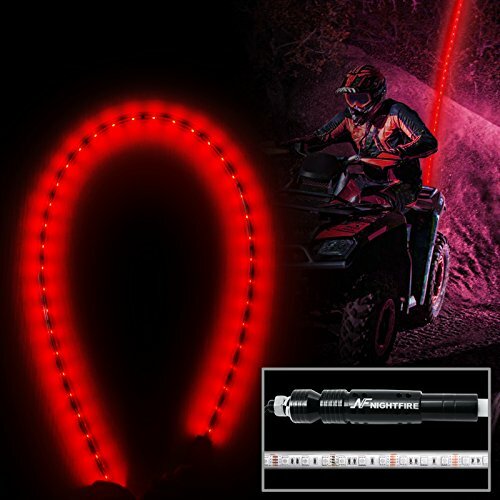 Compare prices on Atv Light Up Whips at ShoppinGent.com – use promo codes and coupons for best offers and deals. Start smart buying with ShoppinGent.com right now and choose your golden price on every purchase.